When it comes to note-taking apps on the computer, so far, nothing has topped Microsoft’s OneNote or the popular Evernote. Google might be looking to change that soon with a new service called Google Keep. Google used to have Google Notebook, which was a similar service, but they stopped programming on that back in 2009, similar to how they just announced they’re stopping Google Reader last week. Google also offers integrated task lists inside GMail. 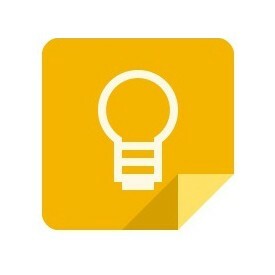 The icon above was found in the Google Drive source code by AndroidPolice. The service would be tied into Google Drive, but would most certainly get its own Android app.